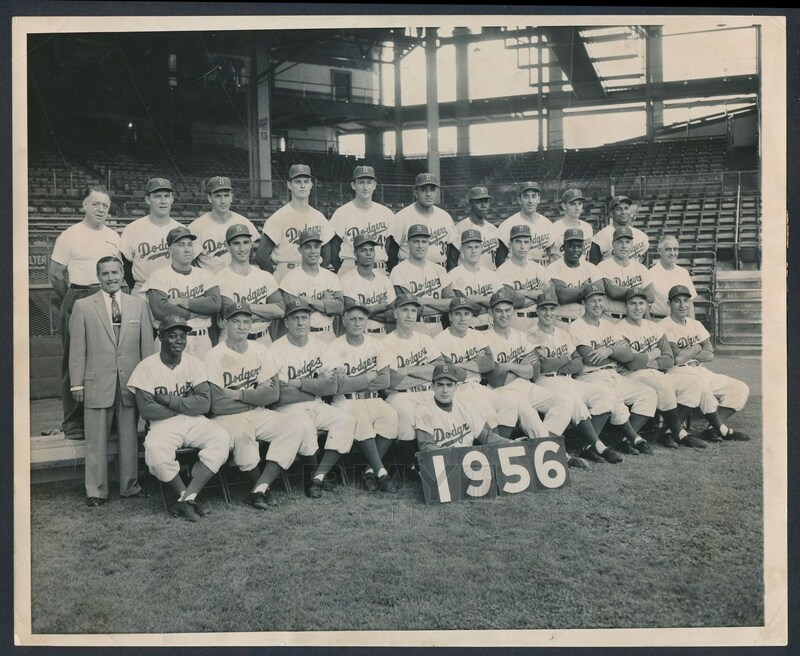 1956 Brooklyn Dodgers team photo in uniform as the team poses coming off their World Series Championship season! A rare original image in pretty nice condition, this is one of the best team photos of the era we have ever seen! 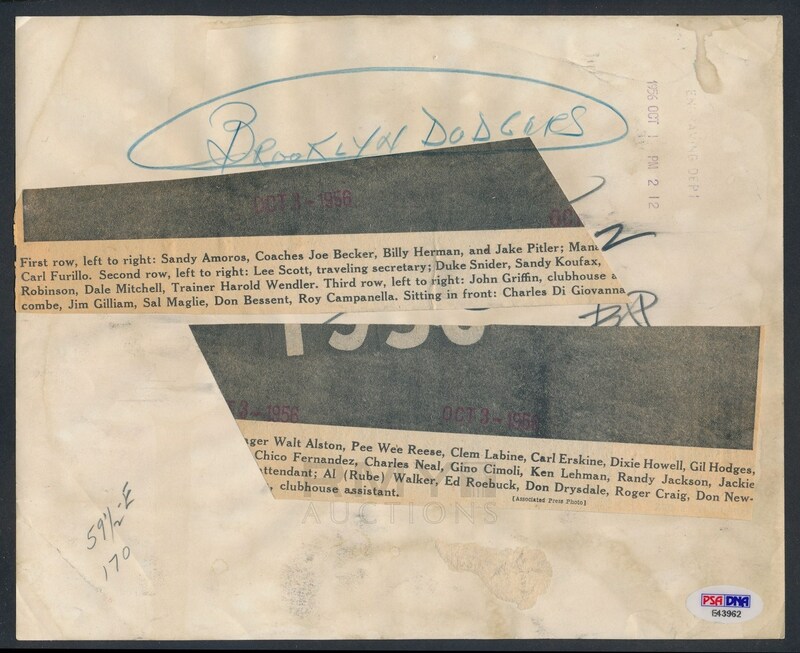 Highlighted by superstars Jackie Robinson, Roy Campanella, Duke Snider, Pee Wee Reese and others... this is one of the greatest teams ever assembled! 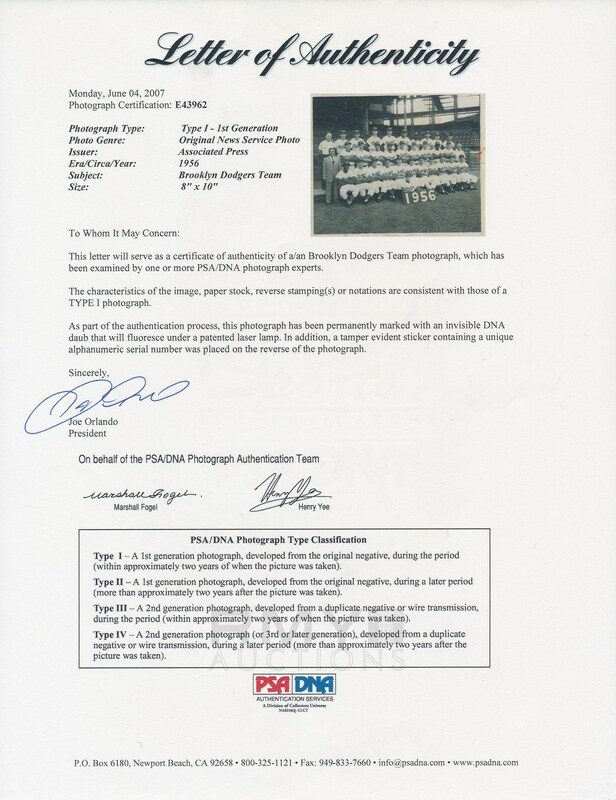 Also authenticated by PSA as a "Type 1" most of the early Dodgers team photos are actually restrikes so it is important to buy anything like this from a knowledgeable seller or pre-authenticated... here you have both!